After a wild night on the tear between episodes the Stardust Crusaders make a stop at the local kebab house. Little do they realise its proprietor is none other than Steely Dan, the latest agent of Dio bent on destroying them from the inside out, a power he mercilessly displays on poor old Enya Geil! Featuring bragging blaggards, a briefing about bartering and a fantastic voyage. Listen up! 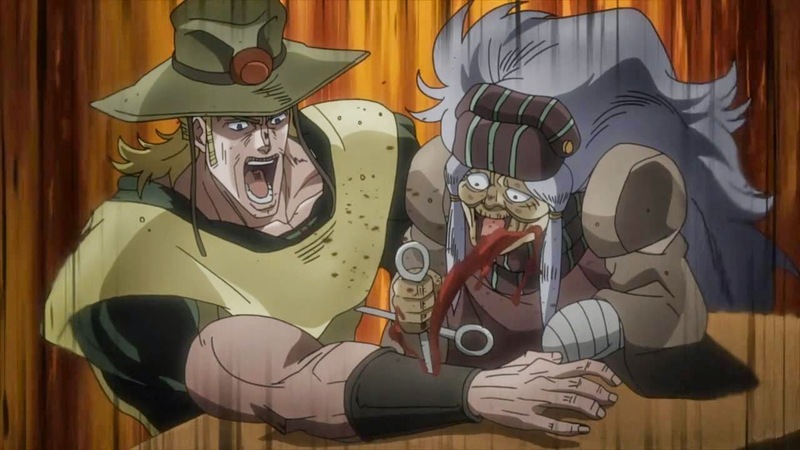 Previously on Jojo's Bizarre Adventure it looked like Hol Horse had bitten the bullet at the hands of Enya Geil. 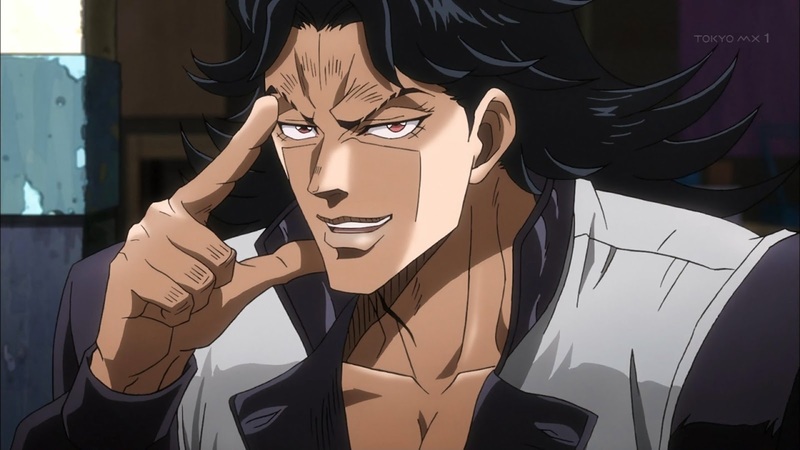 Now she's set her sights on Polnareff, the vanquisher of her equally villainous son, and with a repulsive revenge to wreak upon him. Featuring loathsome latrines, beastly babies and a credit to Columbo. Listen up! The Stardust Crusaders take a well needed pitstop in an eerie village where the pervasive stench of death seems to not bother its inhabitants in the slightest. 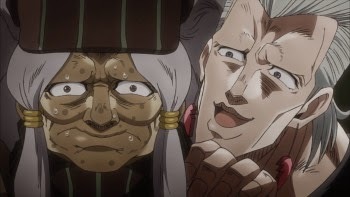 And what do Anime's Granny Enya Geil and old fiend Hol Horse have in store for our heroes? Featuring super sleuthing, terrific tailoring and a few fond farewells. Listen up!